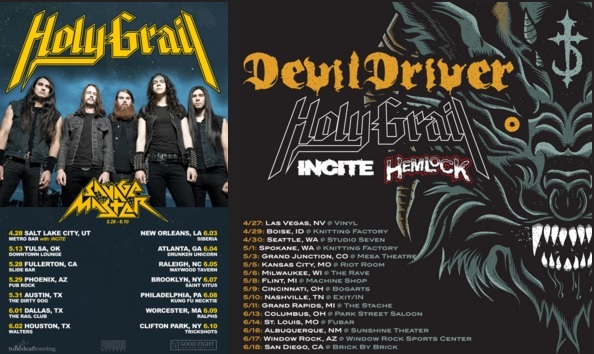 Holy Grail has announced a new slate of tour dates. The band has announced that it will embark on an extensive new headlining tour beginning late next month in Las Vegas, NV. The tour currently runs through June 18th in San Diego, California. It also includes a performance in Raleigh, North Carolina at the Maywood Tavern on Sunday, June 5th. Also along for the ride on this tour will be Devildriver, Hemlock, Incite, and Savage Master. While fans wait for the band’s new schedule to launch next month, they can check out the video for the song ‘Sudden Death’ online now via Prosthetic Records’ official YouTube channel at https://www.youtube.com/watch?v=w6Y2VY7bWGM. The song is taken from the band’s latest album Times of Pride and Peril. It can be purchased in stores and online via iTunes, Amazon, BandCamp, and Prosthetic Records’ online store. The band’s current tour schedule is listed below. Gwar will hold its seventh annual Gwar-B-Q this summer. The annual summer festival returns to Richmond, VA on Saturday, August 20th. It will be held this year at the historic Hadad’s Lake. It is already known that along with lots of great food, Gwar will perform live once again. And just as with last year’s festivities, the B4BQ will be held the day before the Gwar-B-Q. The music festival will feature a vast array of bands, raffles, giveaways, and much more. 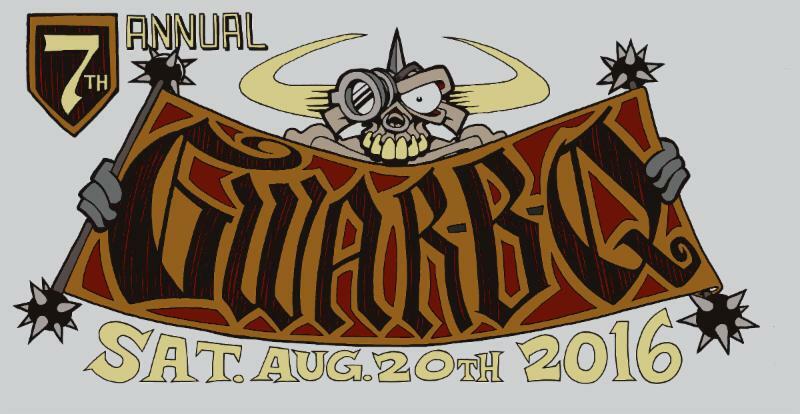 More information on the B4BQ and the Gwar-B-Q is available online now at http://gwarbq.com. The band has also posted a trailer for this year’s Gwar-B-Q online via its official YouTube channel at https://www.youtube.com/watch?v=d_dNJBzyJe8&feature=youtu.be. Earlier this week Sway Jah Vu released its new EP In The Company of Wolves. The second offering from the Florida-based alt-reggae act, it is a recording that anyone weary of reggae’s monotony will welcome with arms wide open. That is because over the course of the record’s five songs and twenty-six minutes the band presents a sound that is decidedly unlike the standard reggae offering. That is obvious right off the top in the EP’s opener ‘People’ with its rock riffs and sax line. The disc’s title track stands out just as much as an example of what makes this EP and the band stand out in the reggae field as does the EP’s penultimate piece ‘Hold On Me.’ All three songs show in their own way what makes this EP and six-man reggae outfit stand out from their respective counterparts. Together with the disc’s two more directly reggae-infused songs In The Company of Wolves shows in whole to be a reggae recording of an entirely different kind; one that every reggae fan should hear. Sway Jah Vu’s new EP In The Company of Wolves is a reggae record of an entirely different kind. 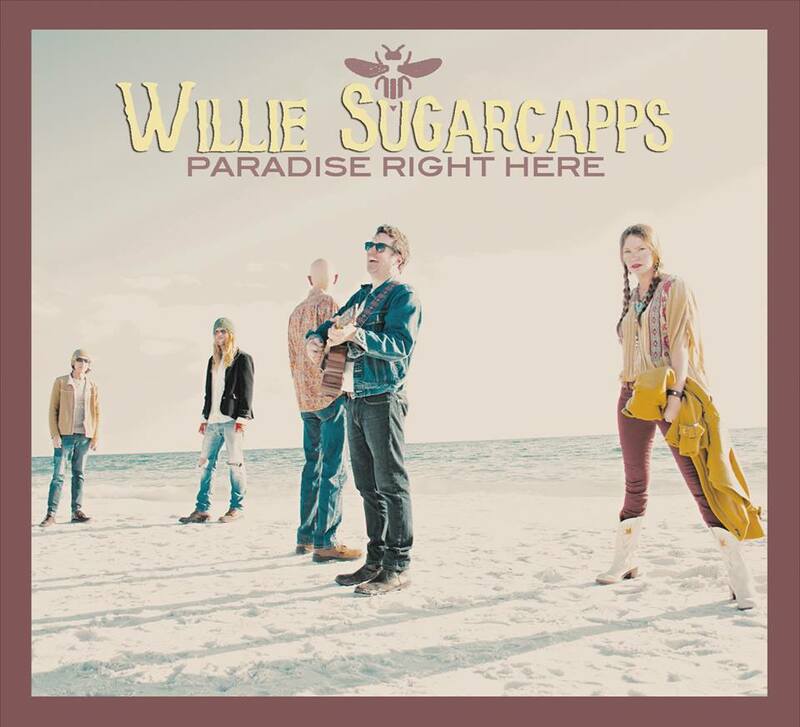 In a field that is overloaded with cookie cutter acts all emulating Bob Marley and the Whalers it is a piece that shows it is actually possible for reggae to be something more than what it was in its earliest days. It shows that reggae can be something more, something that can actually reach new audiences and even new respect. This is clear in the album’s opener ‘People.’ While this song does boast some reggae influences, it boasts just as much rock influence as reggae. That rock influence is exhibited in the song’s chorus. What’s really interesting about the song’s rock influence is that to this critic at least the influence in question boasts something of a Jimi Hendrix sort of sound. Even more interesting is that the two elements stand entirely separate from one another over the course of the song’s five minute-plus run time. This is important to note because it serves to help illustrate the emotion in the song’s lyrical message. Speaking of that lyrical message, it is just as important to the song as the song’s musical arrangement. Whereas the song’s musical arrangement stands out as being more than just reggae, its lyrical content is more clear cut. Vocalist/guitarist Travis Cockerham sings about equality and human rights in this song. He sings, “People need to recognize people/Look into each other’s eyes and realize we’re equal/’Cause everyone’s out tryin’ to do the same thing/Everybody deserves the same chance/People need to love one another/There’s love for my sisters and love for my brothers/’Cause everyone’s out tryin’ to do the same thing/If we don’t come together/Then it’s never gonna change.” Cockerham continues in similar fashion through the songs’ remaining verses reminding listeners at one point that when people point at others, passing the blame there are always three fingers pointing back at the one passing blame. The vibe is much the same through the remainder of the song. The mix of that positive message and the song’s dual musical arrangement makes this song a solid opener for the band’s new EP and an equally important example of what makes the EP in whole stand out from so many other reggae offerings so far this year. It’s just one example of what makes the record stand out, too. The disc’s title track exemplifies this just as much. ‘People’ is a solid starter for Sway Jah Vu’s new EP In The Company Of Wolves. It also serves to help the record and band stand out from their respective reggae counterparts so far this year. That is thanks to the song’s hybrid musical arrangement and its positive lyrical message. It is just one example of what makes the band and EP stand out, too. The disc’s title track does its own part to establish the EP’s identity and that of the band. Whereas the EP’s opener boasted both rock and reggae influences, this song is infused more with a rock sound than reggae. To be more precise that sound is more of a radio friendly, mainstream rock sound than reggae or even anything heavier in the rock realm. Comparing it to any of the record’s other offerings it could be argued to be the song that breaks the band into the mainstream if only for its musical content. The song’s musical content is just one part of what makes it stand out. Its lyrical content stands out just as much. It really leaves itself to interpretation thanks to Cockerham’s reserved delivery and its thought provoking wording. That it leaves itself so up to interpretation actually is a good thing. That is because when set against the song’s more rock-oriented musical content the two elements together make the song stand out even more; so much so that it is deserving of support from any mainstream rock radio station across the country. Even as much as it stands out it still is not the last remaining example of what makes Sway Jah Vu’s new EP stand out. ‘Hold On Me,’ the disc’s penultimate presentation is just as notable as the disc’s title track and its opener. 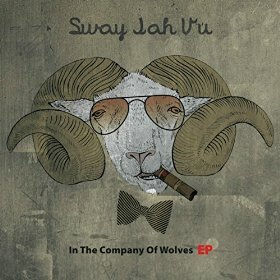 ‘People’ and ‘In The Company of Wolves’ are both key compositions included in Sway Jah Vu’s new EP. Both songs show in their own way what makes this record stand out. While both songs are equally notable in their own right they are not the only songs that serve to make this latest offering from the Florida-based alt-reggae band stand out as well as the band itself. ‘Hold On Me’ is just as notable as those songs. As with the EP’s other noted songs, this song’s musical arrangement lies at its heart. In regards to its musical arrangement it stands out because it is neither reggae nor rock-infused. Rather it is a very reserved bluesy style piece that lets the whole band truly shine. It conjures thoughts of a smoky jazz nightclub thanks to that sound. It’s just one part of what makes the song stand out. The song’s lyrical content is just as important as its musical arrangement. At first the song comes across, lyrically, as just another piece about a breakup. But then as the song progresses it paints a different picture with Cockerham singing about the girl, “I wrote this song to make her heart race/Can’t wait to see the look on her face/Cause she’s got a hold on me/She’s literally hugging me/I never want to let her go/That’s why I gotta let her know/That when she’s hugging me/I can feel myself melting/I never wanna let her go/That’s why I gotta let her know.” Cockerham continues on in similar fashion as the song progresses as do his band mates with their positive musical vibe. The combination of Cockerham’s positive lyrical content and the band’s own impressive talents throughout the song shows even more why this song stands out. When set against ‘People,’ ‘In The Company of Wolves,’ and the disc’s other two more reggae-infused songs, all five songs work together to display In The Company of Wolves as a record that is anything but another standard reggae record. It is a reggae record of a completely different kind and that every reggae fan should hear. The Lone Ranger is one of the most iconic figures in film and television history. For decades the masked stranger has maintained a special place in the hearts and minds of children and adults alike. Of course some incarnations of The Lone Ranger have been more memorable than others and vice versa. One of his least memorable outings was Disney’s lackluster 2013 offering starring Armie Hammer and Johnny Depp. That movie was a bitter disappointment. Luckily it has proven to be one of very few takes on The Lone Ranger that have ever been turned out since the masked stranger first took to the radio waves way back in 1948. One of the better installments to ever be released was the 1952 classic The Legend of the Lone Ranger. It starred Clayton Moore as the masked stranger and was released, ironically, the same year that Moore was replaced by John Hart. In 1981 that movie was rebooted with Klinton Spilsbury in the starring role. The movie was re-issued on Blu-ray late in 2015 by Timeless Media Group. While it largely follows the same premise as the movie’s 1952 installment it is still a rare reboot that is worth the watch, especially being a Lone Ranger flick. The central reason for its success is its writing. That will be discussed shortly. Another important element of this movie is the movie’s special effects. This will be discussed later. Last but hardly least of note in this movie is the work of the movie’s cast. All things considered the 1981 reboot of The Legend of the Lone Ranger proves to be a reboot that is actually worth watching and a movie that any Western fan will enjoy. Universal Pictures’ 1981 reboot of the 1952 film Legend of the Lone Ranger is a reboot that is actually worth watching. That is in comparison to other rare reboots of the day and to all of the endless reboots being churned out by Hollywood’s “Big Six” today. The main reason for that is the movie writing. This includes both the movie’s central story and the story’s smaller elements such as its special effects and violence. The movie’s central story sticks in large part to the plot presented in the 1952 original. It is basically an origin story that starts at the Lone Ranger’s childhood and is taken from the first three episodes of the original Lone Ranger TV series. The movie runs roughly an hour and forty minutes. And the first half of that time is spent telling the Lone Ranger’s back story while the second half follows his search for the villainous Butch Cavendish. What’s important about the whole of the story is that even with such clear separation, the movie’s writing team didn’t overdo either end of the story. Just enough time is spent explaining what led John Reid to become the Lone Ranger in the first half of the movie. The story’s progression in its second half is just as surprising. Cavendish’s plot to kidnap the President and hold him hostage is laid right out rather than having a bunch of time wasted building up to its reveal. In the same vein, the writers use just as little time sending Reid on his hunt for Cavendish. In neither case does the story feel rushed either. This means that the story is that much easier to follow. Simply put both the first and second half are so expertly balanced in terms of their pacing and their general storytelling that the presentation in whole will keep viewers wholly entertained and engaged from beginning to end. It is just one aspect of this movie that makes it well worth the watch. The movie’s special effects are to be taken into consideration, too. The Legend of The Lone Ranger’s writing team is to be applauded for their work on this takeoff of the 1952 original. This is saying plenty considering the problems usually faced by scripts crafted by multiple writers. The script is well balanced both in terms of its pacing and its general progression. These two aspects alone are just part of what makes The Legend of the Lone Ranger a rare reboot worth watching. The movie’s special effects are just as important to note here as the movie’s script. This is especially in comparison to so many of today’s overly violent, special effects laden action flicks. The gunfights are big in scale. But they never feel overpowering unlike similar scenes churned out in today’s action flicks. What’s more the amount of blood shed pales in comparison. It is kept to an extreme minimum, again by comparison to today’s action flicks. This is so important to note because it shows how much action movies have de-evolved since this movie’s release and even its predecessor. It’s really a powerful statement. The explosions that are used in the movie’s third act are just as notable. They are only used in that act and nowhere else in the story. To add to that, the explosions that are used are not the overly loud, speaker shaking explosions that are used way too much in Hollywood’s current era. More simply put they are part of the story rather than the star of the story unlike with those used in movies by Michael Bay and Zack Snyder. Because they are used so responsibly they make the movie in whole even more entertaining. When they are set against the movie’s equally well-executed story the two elements combine to show even more why Universal’s reboot of The Legend of the Lone Ranger is a diamond in the rough in the world of reboots. The writing behind Universal’s reboot of The Legend of the Lone Ranger and its special effects are both key elements in the movie’s success. While both elements are important in their own right they are not the movie’s only key elements. The work of the movie’s cast is just as important to note. Christopher Lloyd is surprisingly impressive as the devious Butch Cavendish. It would have been easy for Lloyd to throw back to the days of the original Lone Ranger TV and radio series, going well over the top. But he opted not to go that route. Instead he portrayed Cavendish as something of a cerebral criminal, calm and collected but not overly proud of himself at the same time. 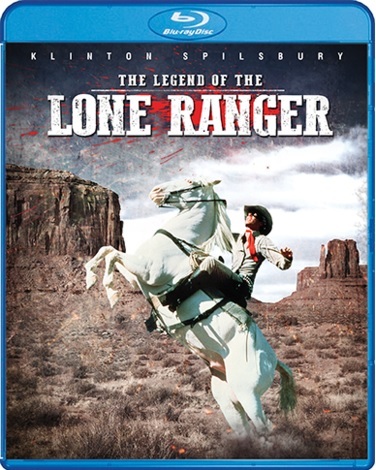 Klinton Spilsbury and Michael Horse are just as impressive as John Reid/The Lone Ranger and Tonto respectively. They handled their roles with professionalism equal to that of Lloyd. They balanced the serious nature of their characters with just enough charm and ham to make both characters fun to watch. When Spilsbury and Lloyd face off in the story’s final minutes, Spilsbury delivers an applause worthy performance as he contemplates Cavendish’s fate. It is a small moment, but an important moment nonetheless. It was one of those scenes that made Spilsbury believable as the iconic character. That is not to say that Lloyd and Horse were not believable in their respective roles; Quite the opposite in fact. They are just as believable. Their interpretation of their characters and the movie’s scripts rounds out the movie’s most important elements and shows once and for all why this movie, while a reboot, is still well worth the watch. CBS DVD and Paramount have been on quite the roll in the past year or so. Between April and November of 2015 the two companies partnered to turn out no fewer than nine of CBS’ classic series in their full-series sets. A small handful of those releases were first time releases while a number of others were re-issues including: JAG: The Complete Series, I Love Lucy: The Complete Series, Walker Texas Ranger: The Complete Series, and Star Trek The Original Series just to name a handful of those titles. There were even re-issues of all eight seasons of The Andy Griffith Show in their own standalone sets courtesy of Paramount. As busy as Paramount and CBS DVD proved to be in 2015, one would think that the companies would pull back a little bit this year. That apparently has not been the case. The Andy Griffith Show was re-issued in whole this past February on DVD. And earlier this month another classic CBS series—Hogan’s Heroes—was re-issued (again) on DVD. It marked the third time since 2007 that the series had been released in whole on DVD. Even despite this it is still another welcome addition to any classic TV buff’s home DVD library. Paramount and CBS DVD’s latest re-issue of Hogan’s Heroes: The Complete Series is not the first release of the classic sitcom. It is the third time since 2007 that the series has been released in full on DVD. Despite this it is still a welcome addition to any classic TV buff’s home DVD library. It is just as welcome in the library of any of the series’ fans that might perhaps not already own the series in its entirety. For those that perhaps have never had the pleasure of enjoying Hogan’s Heroes the series’ writing behind the series is the central point of this box set’s presentation. This applies both to the show’s premise and the stories within its episodes. The premise presents a group of Allied POWs (led by Col. Robert Hogan), in a Nazi concentration camp that is helping the Allies defeat the Nazis. They also help other Allied forces escape the Nazis along the way. All the while Hogan and his band of misfits generate plenty of laughs as they outsmart Col. Klink and his bumbling head of security Sgt. Schultz in order to accomplish their missions. All of this is important to note because over the course of its nearly six years on the air (It aired from September 17th, 1965 – April 4th, 1971. That is just short of six years) there was nothing like it on the air. This includes both the huge variety of sitcoms that populated television’s then limited channels and its dramas, as well. Even more interesting is that the series, thanks to its premise, caused its own share of controversy because of its playful, lighthearted approach to the life of POWs in WWII-era Germany. Thankfully though, that controversy has turned to appreciation over the years since the series presented Klink, Schultz, and the rest of the Germans as being rather dumb and gullible. It is the American equivalent of the propaganda films used by the Axis forces during the war. Sure, it came along two decades after the end of the war. But one could argue that since it came along during the Vietnam War, it actually could have served, in its own right, to be a way for people to get escape the tragedies of one war with a comical approach to another war. That’s probably a stretch on the part of this critic. Regardless it was—and is—still an original premise. For that reason alone, the premise behind the series makes it an important part of the series’ writing. It is just one part of the writing that makes this element so important in the series’ presentation. The premise behind Hogan’s Heroes is in itself hugely important to the series’ presentation. That is because in comparison to other series of the time, it was just one more series that made television so great in what has become known as television’s golden age. That is because it was unlike its counterparts at the time much in the same way that those series were unlike other series at the time. It’s just one part of what makes the series’ writing so important to its presentation. The stories that were crafted for each of the series’ one hundred sixty-eight episodes are just as important to the series’ presentation as the series’ premise. Over the course of its nearly two hundred episodes, the series’ writers came up time and again with totally original stories that kept the series fresh and entertaining. “Kommandant Schultz” (Season 6) is just one example of what makes the series’ episodes so entertaining. This episode puts Schultz in charge of Stalag 13 for a short period of time in order to train him how to be a commanding officer. The reason for the training is that Hitler had requested all NCOs in every camp be trained. The end result is a story line that while tried and true, is still just as entertaining her as in any other series. Viewers will love watching as Schultz tries to overcome his bumbling personality and become a respectable officer, only to come up short. He still gets the last laugh in the end, though. Viewers really can’t help but root for him here even though he is supposed to be one of the bad guys. Of course audiences can’t really help but root for Schultz throughout the series. And that is likely linked to John Banner’s (the actor who portrayed Schultz) real life personality. This will be discussed later. “The Great Brinksmeyer Robbery” (Season 2) is another example of how the stories crafted for Hogan’s Heroes prove so important to the series’ presentation. This episode is so important to note because it was one of the many times throughout the series in which the series’ writers took Hogan and company out of the confines of Stalag 13 for its story. The story itself is just as important to note. Hogan’s morals are tested somewhat when he is forced with the realization that he and the other men will have to rob a bank in order to purchase a map that would help the Allies’ efforts in the war. He obviously doesn’t want to have to rob a bank. But he reminds himself that it would be a German bank. That in turn sets up the funny story that follows. The episode’s bank heist story is just part of what makes the episode so entertaining. Schultz does catch Hogan and his men as they are planning their operation. But they turn the tables, blackmailing Schultz because he is not supposed to be away on leave. Schultz’s reaction is timeless, especially as calm and collected as Hogan is in the moment. It is just one of the great moments presented in this episode that make it so fun and funny. The others will be left for audiences to discover for themselves. The end result of the episode’s story is just as entertaining. All things considered, the whole of this episode’s story—from the story itself to the story’s smaller elements—shows once again why it is one more example of the importance of the stories’ importance to the series’ overall presentation. It is hardly the last example, too. “Is There A Traitor In The House?” (Season 5) is another example of what makes the series’ stories so important to its presentation. “Kommandant Schutlz” and “The Great Brinksmeyer Robbery” are both prime examples of what makes the stories behind Hogan’s Heroes’ episodes so important to the series’ presentation. They are not the only episodes that can be cited in proving this argument. ‘Is There A Traitor In The House?” This episode is a good example of the strength of the series’ writing because it shows that the series could be entertaining even when Hogan wasn’t at the center of the episodes. This episode puts Newkirk (Richard Dawson) at the center of its story. Newkirk has to convince Klink, Schultz, and Berlin Betty that he has turned in support of the Nazis in order to get bombing coordinates to the British. This happens after a bombing at the camp knocks out the Allies’ radio connection to Britain. Even more interesting is how the story is executed. At first audiences are actually led to believe that Newkirk has turned. Though, it is revealed soon after that he hadn’t. At the same time Berlin Betty has her own secret (or secrets). That will be left for audiences to discover for themselves, too. It’s just one of the story’s elements that makes it so engaging and even somewhat moving. Audiences will understand and appreciate this when they see this episode for themselves. It’s just one more way in which the episodes’ stories prove so important to the series’ presentation. And it is hardly the last story/episode combination that can be cited in making this argument, too. There are plenty of other stories presented across the series’ six-season run that could be cited just as easily. Those stories and the stories cited here combine to show why the episodes’ stories are just as important in the bigger picture of the series’ writing as the show’s premise. While the show’s premise and all of its stories combine to show the importance of its writing in the series’ presentation, the writing is hardly the only element within this box set that makes the set such a welcome addition to any classic TV buff’s home DVD library. The bonus material contained within the series’ new box set is just as important as its writing to its presentation. The writing behind Hogan’s Heroes is hugely important to the series’ presentation in its latest full series box set. The bonus material included in the set is important in its own right to the set’s presentation. The bonus material featured in this re-issue includes: a pair of original promo spots for the series, Air Force recruitment spots starring series star Bob Crane, a vintage add for Jell-o and Dream Whip starring the series’ whole cast, and behind-the-scenes movies narrated by Crane’s wife Patricia among much more. The vintage TV spots are fun little additions to the set’s bonus material offerings. That is because they haven’t been touched up or spit-shined for their presentation here. They will take viewers back to another age of television in so many ways. From cast-involved ads to direct recruiting spots, such promotion is rarely to never seen on television today. So for television historians and classic TV buffs alike the spots are hugely important if only for their historical value. The behind-the-scenes footage is just as important to the set’s presentation as any of the other bonuses. In fact it could be argued that this bonus is the set’s key bonus. That is because of the information shared by Crane’s wife Patricia. Over the course of the “movie” audiences learn that John Banner’s portrayal of Schultz may have been rather natural. That is because, as Crane reveals, he was considered to be very much like Santa Claus. That is because of how much Banner loved kids and just how personable he was off camera. Comparing Banner to Schultz, one could see how the connection could be made. On another level viewers also learn about the proximity of the Hogan’s Heroes soundstage to that of The Andy Griffith Show and Gomer Pyle, U.S.M.C. Sure it might not seem all that important on the surface. But it shows just how busy Paramount’s lot was at the time of Hogan’s Heroes’ run. It’s just one more way in which the bonus material included in this set proves to be an important part of the series’ presentation in this newly re-issued box set. There are other bonuses not noted here that were also included in the set’s presentation. Those extras along with the bonuses noted here make clear why the bonus material in whole is so pivotal to the set’s presentation in its own right. They are collectively just one more part of the whole that makes this new re-issue of Hogan’s Heroes: The Complete Series so enjoyable for audiences. The set’s packaging is just as noteworthy as its bonus material and its writing. 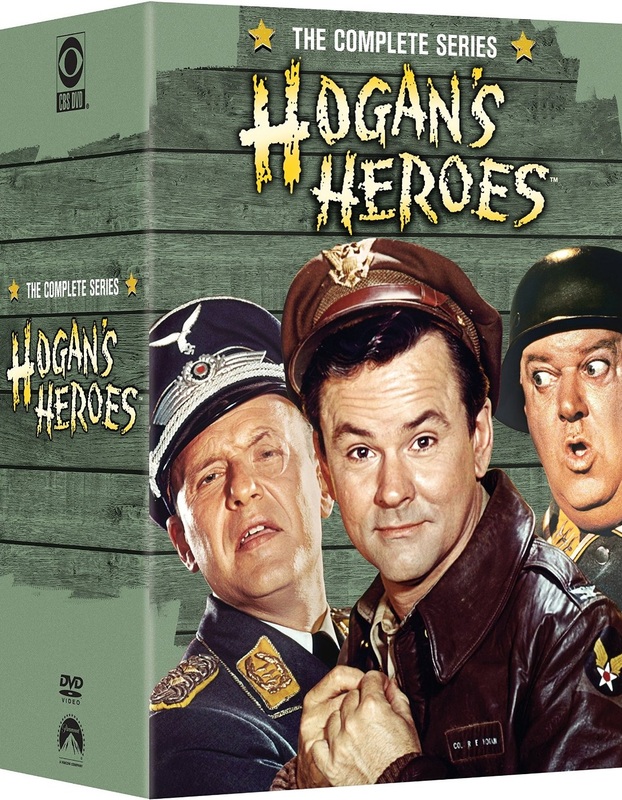 The writing incorporated into Hogan’s Heroes and the bonus material that accompanies the series writing are both important elements in the whole of the series’ newly re-issued DVD box set. The writing, both in terms of the set’s premise and its stories, will keep audiences entertained and engaged from the series’ first season to its sixth. The bonus material included in the set adds even more enjoyment to the set thanks to its historical value. Even as entertaining and valuable as the series’ writing and bonus material prove to be in its presentation here, they are not the only important elements to examine in the set’s presentation. The set’s packaging rounds out its overall presentation. The set’s packaging is a little bit of a mixed bag. The box set’s exterior packaging is much more ergonomic for audiences than owning each of the series’ standalone season sets. However, a closer look at the packaging reveals a different picture. The series’ first four seasons are spread across nineteen discs contained within one box. Seasons Five and Six are presented in a separate box set. Here’s where things get a little bit dicey. The discs that make up the series’ first four seasons are placed one on top of the other top to bottom on either side of five connected leafs inside their box. In other words they are packaged much in the older style of multi-disc DVD box sets. This same method was used in Paramount and CBS DVD’s other recent DVD box set re-issues. The problem with this style of packaging is that it greatly increases the chances of the discs becoming scratched and unusable over time. On the other side of the proverbial coin, Seasons Five an Six are presented in the more modern style of packaging, with one disc on either side of the box’s leafs. This is just as ergonomic if not more so. It also serves to better protect the discs from scratching. So while the packaging is in itself a good thing and somewhat better than that of the series’ previous DVD sets, it is also problematic in its own right. Keeping this in mind, one can’t help but wonder what a Blu-ray box set of Hogan’s Heroes: The Complete Series would look like. It definitely shows that a Blu-ray set would be a real positive for audiences if only for the set’s packaging. A Blu-ray presentation could potentially even present even more bonus material. Even if that shouldn’t happen anytime soon Paramount and CBS DVD’s new re-issue of Hogan’s Heroes: The Complete Series still proves itself to be a good addition to any classic TV buff’s home DVD library and that of any of the series’ fans. Paramount and CBS DVD’s new re-issue of Hogan’s Heroes: The Complete Series is not the first time that this classic sitcom has been released on DVD. Even despite that it is still a welcome addition to the home DVD library of any classic TV buff and that of the series’ fans. That applies more so to those fans that don’t already own the series in its standalone season sets or its previous full series incarnations. This is proven primarily through the set’s writing. The original premise and equally original story lines will entertain audiences from beginning to end. The bonus material included in this, the series’ most recent re-issue. It adds even more enjoyment thanks to its overall historical value. The set’s packaging, while at least somewhat problematic, is also more ergonomic than the series’ previous full series DVD box sets. Though, it can be argued that the packaging alone necessitates a Blu-ray release for the series. A blu-ray presentation would potentially be even more ergonomic than this DVD box set or any of the series’ previous full-series incarnations. All things considered Paramount and CBS DVD’s new Hogan’s Heroes: The Complete Series re-issue is still a welcome addition to the home DVD library of any classic TV buff not already in possession of the series’ previous DVD sets and that of the show’s original fans in the same situation. It is available now in stores and online. It can be ordered online via Amazon at http://www.amazon.com/Hogans-Heroes-Complete-Richard-Dawson/dp/B017Q8QNJK/?tag=cbcoofsiofcb-20. Phil’s Picks recently had the chance to speak with Clinton Cunanan of Another Lost Year. Along the way Cunanan discussed a range of topics. From the band’s new album to more serious topics such as Spotify’s place in today’s music industry, to the more lighthearted discussion on sports loyalties, the topics run the table. Cunanan jokes his way through some of his responses, as readers will note while in others he is more matter of fact. The discussion in whole is both entertaining and informing and available in whole here. — You guys have a new album due out very soon titled Alien Architect. Now unless I’m incorrect, this is ALY’s second full-length studio recording. What can you tell me about the album’s release date? Right now I know that it’s due out some time in June. That is all that I know of its release date. Is that right? — Along with the album’s release ALY is getting ready to launch a new tour in support of Alien Architect. The tour kicks off with a show in Hickory, NC on April 8th at the Wizard Saloon. This is a pretty well-known North Carolina venue. It has hosted both big names and lesser known acts including: Saving Abel, The Veer Union, Like A Storm, NoMara, and even ALY previously. So being that ALY is based in Charlotte, where I’m sure you had your pick of venues, what made you guys want to kick off your upcoming tour at The Wizard? Can fans expect to hear more of the band’s older material, its newer music, or a little bit of both? Aside from the current schedule, are there any more dates currently in the works? Clinton: Are you saying these are more known bands or lesser known? Hickory isn’t known for much. The Wizard is a dirty old place that we love to play. Honestly we just like playing here, we will play anywhere. And if its one of our shows, fans know to expect anything and everything. We never have a set setlist, we have skeletons that we use and fill them in accordingly. There are a ton of dates coming, we are just kind of going out jamming, no rhyme or reason, we just party. -ALY has been around since 2011. In that short time, the band has already turned out at least one full-length studio recording and an EP. That is actually pretty impressive considering that the band is currently apparently working without a record label. Have you had any interest from any labels in the time in the time since the band released those two recordings? Clinton: Like I said before, AA will be our 2nd technically full length, Better Days was a full length, SO CAL was an EP, The Revolution pt 1 and 2 are EP’s that make a full length, we get down a lot. We aren’t like most bands, we keep songs on deck, Im already 8 songs into the new album. We have had interest, we just imprinted our own label with EMP, we are pretty in house. We like it that way. 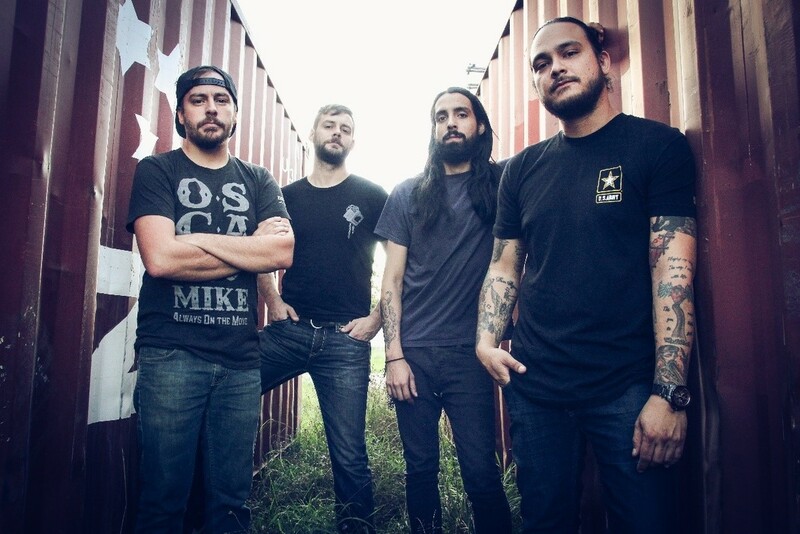 –The band just recently premiered the video for Alien Architect’s new single ‘Wolves.’ The song’s sound, to me at least, is very similar to that of Breaking Benjamin. What bands would you all say are ALY’s biggest influences? On a related note, what can you tell me about how the song came to life? Was it more of a structured formation with the lyrics or music coming first, or was it more of an organic process? What is the message or story within the song’s lyrics? Clinton: Heres a few questions I ask when I hear this comparison, 1) is that supposed to be an insult or compliment 2) Have you ever heard Motionless In White and 3) have you ever really listened to BB? Maybe its the substance that people compare us to, something real, musically we are nothing like them. I’m influenced in my songwriting by old country music, storytellers, we structure similar to Limp Bizkit and lyrically I would compare us more to Greenwheel, Trapt, Evans Blue. We aren’t really influenced by other music, more on peoples work ethic. Wolves got thrown out because it was done, the most haha, this time around we wrote a lot differently, more in studio than anything, we were writing and recording 2 songs a day, whatever the mood was is what came out. The story is for you to decipher yourself, the message is clear. Run like hell and because I’m coming for everything. –On a related note, I’d love to get the band’s thoughts on the ‘Wolves’ video. It’s a very dizzying piece in regards to its camera movements. Was that effect intentional or did that come from the creative process involved in the video’s creation? Did any of you have a favorite or least favorite part of making the video? Are there plans for anymore of the album’s singles to get the video treatment? Cilnton: It just kind of happened, it was my first stab at really directing from setting the shots to editing, it was all a blast, I was not a fan of the editing process, but even that I learned to start loving. We will be shooting a video for every song if I have any say in it, and I have a lot of say in it. –I want to switch gears for a little bit. Spotify, Youtube, and other online outlets have been in the news quite a bit recently thanks to a certain well-known pop star. What is YOUR take on the Spotify debate? Do you think artists should receive royalties for a certain number of plays on Spotify and other online outlets? Have you found that online outlets have played a role of any kind on your own record sales or not? Clinton: Considering we pull in about 8k in streams through spotify alone a week, I would like to see a higher royalty paid, its a catch 22, if you pull your music you’re limiting your audience, if you keep it, you’re lowering your worth, in some aspects. I discover a lot of artist using these online systems, it is what it is. The real problem is radio, money rules it. Plain and simple, no one talks about how payola still exist. It does, I said it. –Staying on that note (no pun intended) digital music sales in the past decade or so have played an obvious role in the decline of physical album sales. One need just go to Best Buy and Target, and see their massively streamlined music departments to see that for one’s self. The numbers also back up that decline in sales. So do you all prefer digital music for your own libraries? Physical? Or a mix of both? Clinton: Man every Tuesday I used to go to target and scoop up the new releases, you could get the unedited versions and well I like profanity, digital is super convenient since you can keep your library at your finger tips, there is nothing like having that physical copy that someone put their heart and soul into, and just wait till you get your hands on the physical copy of Alien Architect. Its a masterpiece from looks to sound. –On another related note, Record Store Day is coming up once again. The big day is used to celebrate all things vinyl. With vinyl’s continued popularity even modern acts are seeing their albums released on vinyl. Do any of you collect vinyls new or old? If so do you have any favorite vinyls? Clinton: I dont collect them, yet. –I want to switch gears again here and delve into ALY’s hometown music scene. As anyone knows, North Carolina is obviously not just a country music state anymore. Corrosion of Conformity and Between The Buried and Me have both put North Carolina on the map as have other bands past and present. Other than yourselves, are there any other Charlotte-based bands that really stand out to you guys? What about bands from other parts of the state that you’ve either toured with or heard? Clinton: Uh K-ci and JoJo, haha Paper Tongues, BTBAM is great, and so is COC not my cup of tea, but pioneers to say the least. There are a few bands out there grinding, not many, people don’t want to work for it anymore. Its a shame money overrides talent these days, its killing our industry, like I said, work ethic stands out to us, the dudes in Almost Kings, really influenced me to go out and grind it, they are from ATL, not far from us, as far as Charlotte, probably the one that stands out the most in our scene today is Beyond The Fade, good dudes, good jams, horrible drinkers, 1 shot and Neils clothes start falling off. –Changing things up again, with the current NCAA tournament getting ready to wind down for this year, I wanted to ask, since you all are from North Carolina, are any of you college basketball fans? If so are you all Duke or UNC fans? Or are there some loyalties to other schools? What about the NBA? Are any of you Hornets fans or fans of other teams? Clinton: You’re getting into some uncharted territory here, I am the only Duke fan. Thats all I will give the pleasure of divulging, due to the fact the other guys are obviously sick in the head for being Tarhole fans. –Charlotte is also NASCAR’s home base. So are any of you NASCAR fans or maybe other auto racing series? If any of you ARE racing fans, can you share any memories of trips to races? Clinton: Being from here, you hate nascar, I have some friends that drive. My buddy Chris Lafferty actually helped me direct and shoot the new video, we have some great ties to racing, but the traffic, get out of here, its awful we try and stay far away during race weekend. Thank you very much again for allowing me the time to talk with you all. I am really looking forward to Another Lost Year’s new album. Will fans be able to pick up Alien Architect in stores when it’s available, and will those stores include the likes of Best Buy and/or Target or will it be more available at the band’s shows and the band’s website? Thank you again for your time. Good luck on your upcoming tour and your new album. Clinton: Thanks for your time! When the album drops we signed a bistro deal with EMP (Dave Ellefson of Megadeth) and eOne, so fingers crossed you’ll see that beautiful product sitting right there, in the A’s…. Its like it was premeditated.